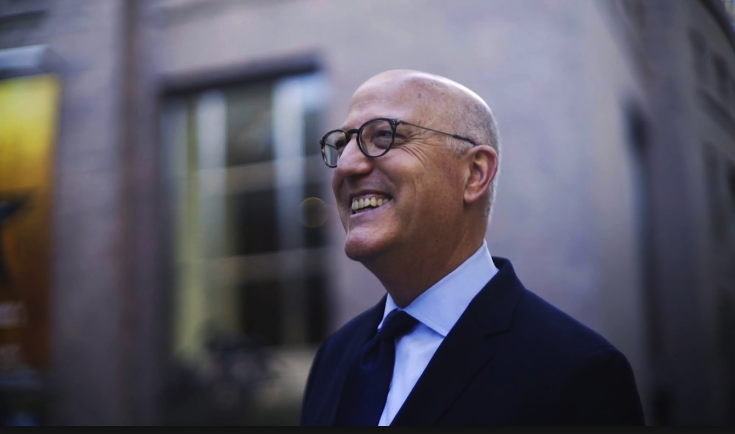 Charlotte Center City Partners will honor Tom Gabbard, CEO of Blumenthal Performing Arts, as the recipient of the 2019 Center City Vision Award for his profound creative impact in Charlotte’s Center City and beyond. The Vision Award is presented to a community leader who has made the Center City more vibrant and extraordinary through his or her visionary leadership. Gabbard’s leadership enhances Charlotte’s arts community, adds vibrancy to Center City and ensures performing arts are accessible to all. One of Gabbard’s first decisions as CEO was to reorient the box office and entrance to the Blumenthal Performing Arts Center, making Tryon Street the venue’s “front door” and signaling Gabbard’s intent to make the arts more accessible to this community. Throughout his tenure, he has championed new and creative programming like the Breakin’ Convention, booked unconventional and thought-provoking shows, and sought to expand Blumenthal Performing Arts’ reach into underserved communities. Gabbard’s leadership is evident in the spaces Blumenthal Performing Arts programs—all crown jewels among Charlotte’s arts community: Belk Theater, Knight Theater, Spirit Square and historic McGlohon Theater, Stage Door Theater and more. These spaces are more than just venues; they have become the home to creative energy, big ideas and world class entertainment. One of Gabbard’s signature achievements is the creation of the Blumey Awards, a high school musical theatre competition that recognizes top talent from our region. Winners have gone on to receive national acclaim, and all participants are exposed to an incredible opportunity to grow their skills. Gabbard thinks beyond his own organization. He is a ready collaborator, eager to work with others to make our community stronger. Charlotte Center City Partners also will recognize the Design Center, 300 South Tryon and No Grease, Inc., for their contributions to the vibrancy of Center City. The 2019 Center City Vision Awards are presented by Novant Health and Wells Fargo. The keynote address, delivered by author and urbanist Peter Kageyama, is presented by CBI | Workplace Solutions. The event will be held Thursday, April 11, starting at 5:30 p.m., at the Charlotte Convention Center.